Isolated, purified and encapsulated nattokinase, an enzyme derived from boiled soybeans using a selected, patented strain of Bacillus subtilis natto. 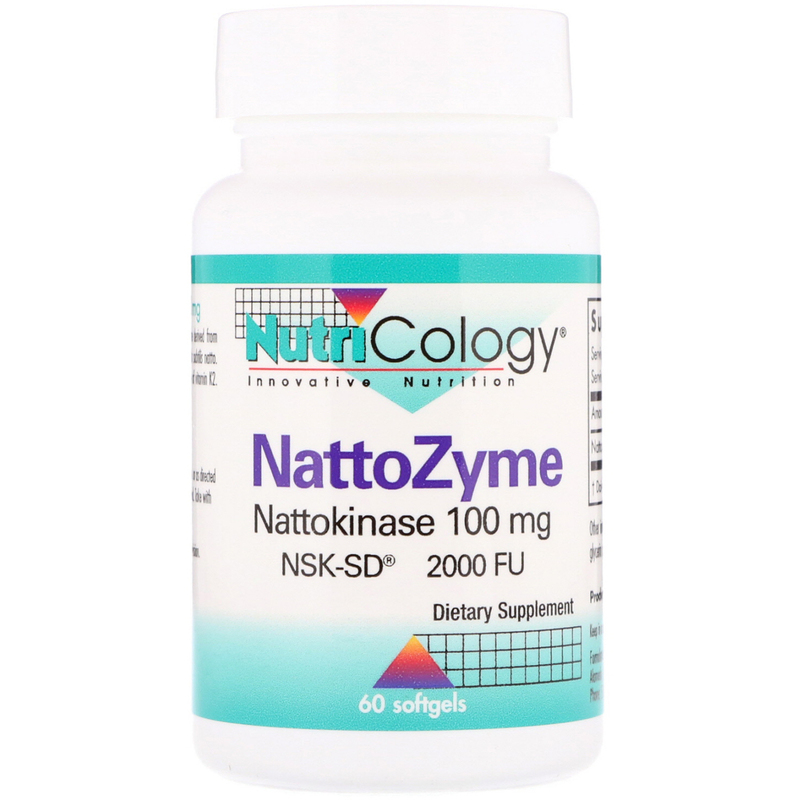 Nattokinase NSK-SD is vegetarian, non-irradiated, and free of vitamin K2. 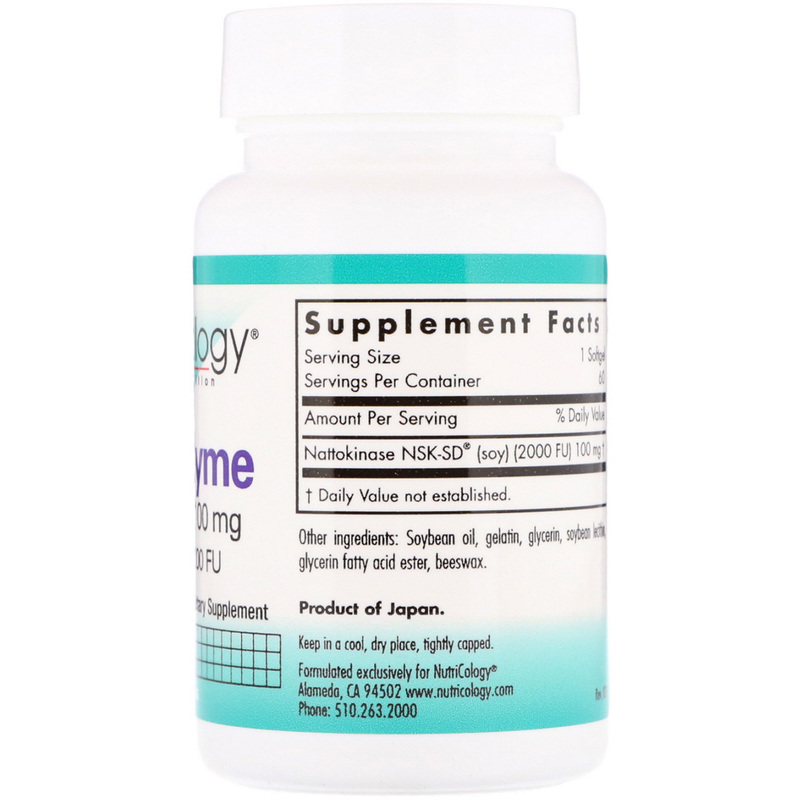 As a dietary supplement, 1 softgel two times daily initial dose, or as directed by a healthcare practitioner. May be taken with or without food. Take with 8 to 10 ounces of water.